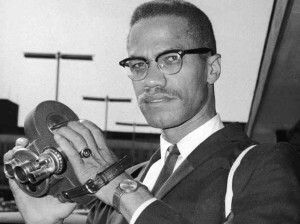 What is Malcolm X’s legacy today? Writer and political analyst Dedrick Muhammad joins Marc to co-host this hour. This segment originally aired May 18, 2010.
re Malcolm-Paul Coates press here in Baltimore published a series of essays responding to and critical of the Marable book- like to know, Marc- have you addressed this? especially since some of the authors are from here in Baltimore? Thanx to Omari Musa for clearly stating the problem re capitalism.